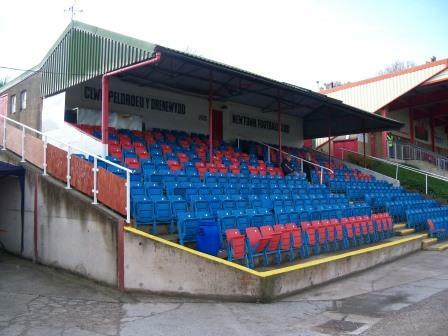 The Welsh Premier League started in 1992-93, with Cwmbran winning the title. The format changed in 2010-11, when 18 teams became 12 – The Super 12, as they’re dubbed. The New Saints are the current champions. 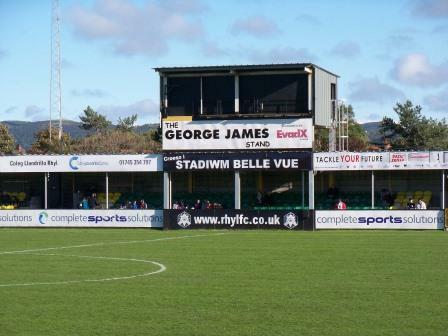 The Welsh Premier is the only league in Wales that isn’t regionalised, leading to some hefty away travelling across the very slow mid-wales roads. 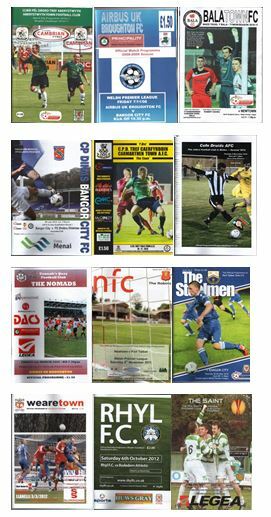 In recent years the north has started to dominate, and again this year a southern team was replaced by a northern team, with Afan Lido making way for Cefn Druids. 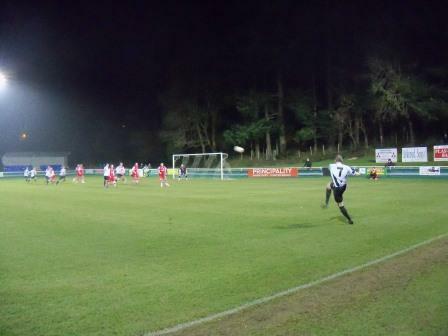 Cefn Druids won the Cymru Alliance and their Rock ground comfortably meeting top flight criteria. 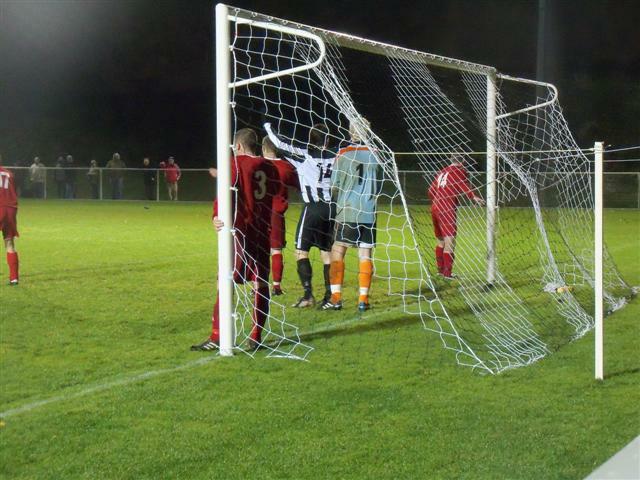 However, in the southern Welsh League, Monmouth Town (winners) and Taffs Well (runners up) could not be promoted. This leaves just Port Talbot and Carmarthen from the south. One of the reasons for poor showing from the south, is the sad demise of first Neath, and then Llanelli, in the last two seasons. 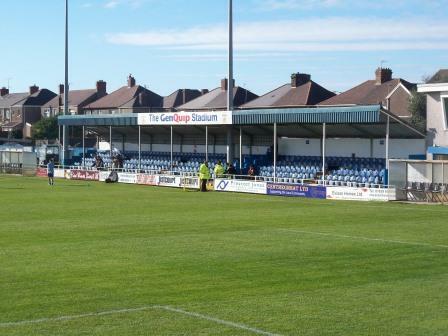 It hasn’t always been this way, though, with the South traditionally being very strong in the league; with Cwmbran winning the inaugural season in 1992-93 and Barry Town winning seven titles in eight years between 1996-2003. 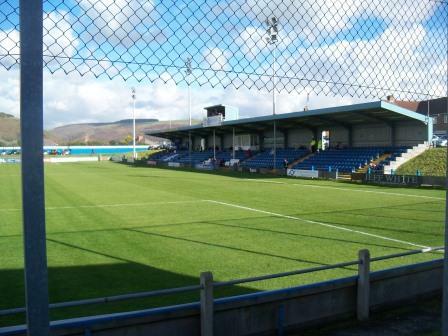 In the early years, several other teams from the south were successful, but have now disappeared or are playing at a lower level – among them Inter Cardiff, Barry Town and Ebbw Vale. 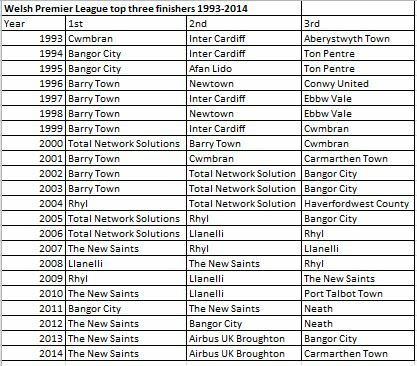 The winners of the most titles is jointly held by Barry Town and TNS (both the Total Network Solutions and the The New Saints versions). They have won seven apiece, two thirds of the 21 on offer. 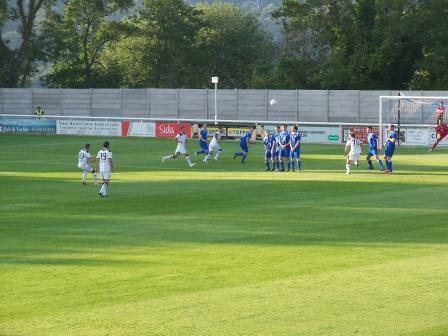 The other seven were shared between Bangor City (three), Rhyl (two) and Cwmbran and Llanelli (one apiece). So only six teams have won this league, 12 have gone to the North and nine to the south. 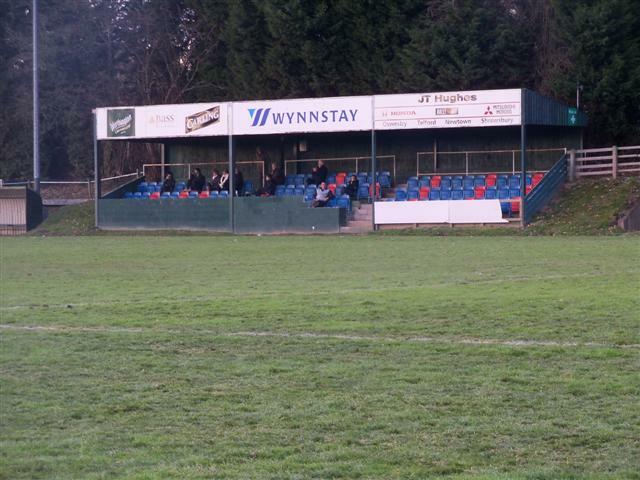 The mid wales teams have yet to secure a title, although Newtown did finish as runners up in 1996. Last season the top two of TNS and Airbus kept their positions, while Carmarthen Town took third spot. 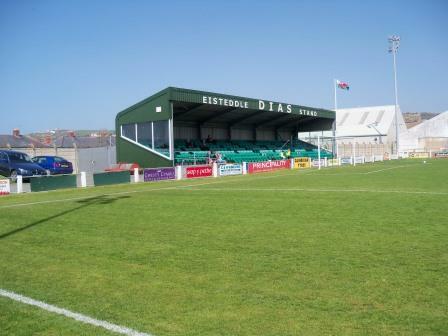 Some of the Welsh Premier grounds are among my all time favourites. I’ve tried several times to rank them using various criteria, such as backdrops, stands and terracing etc, but I get very different results each time I do it. It is extremely difficult to quantify why you like certain grounds (let alone put into words), so I gave up on a list. 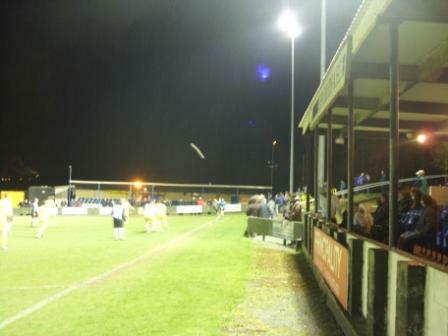 However, the small set of Welsh Premier grounds, to me, all have something about them and some are very special indeed. Most, if not all, have been improved in recent years, with many now UEFA compliant with the minimum 1,000 seats. 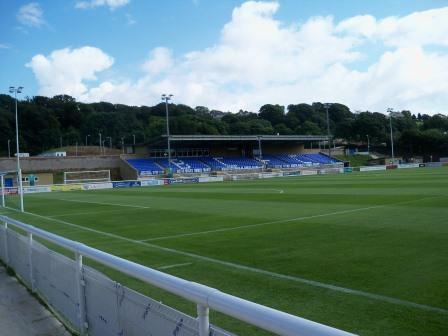 These are the grounds at Aberystwyth, Bangor City, Carmarthen Town, Newtown, Port Talbot Town, Rhyl and TNS. Ignoring any attempt at quantification and ranking, I can declare my favourites to be Aberystwyth Town and Newtown. 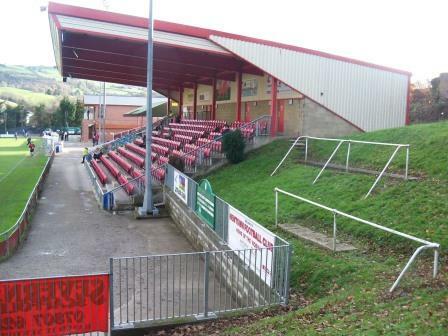 Both have verdant hilly backdrops and many different and quirky stands and bits of terracing. They tick most boxes for the groundhopper. 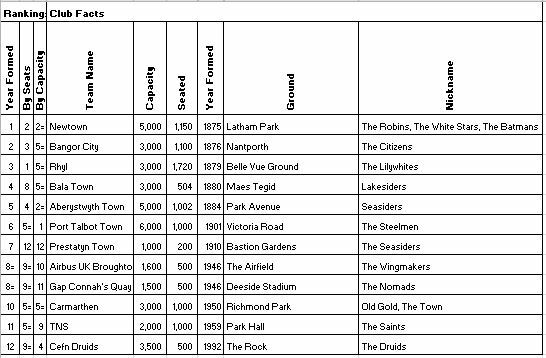 The teams are listed below, with ground capacity, year founded and various statistical rankings. 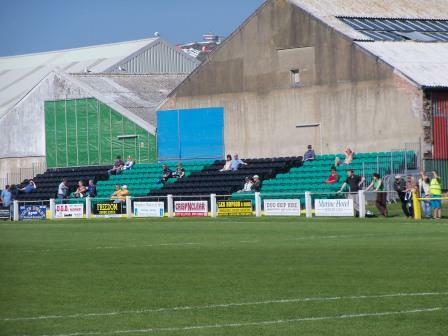 Park Avenue has three areas of seating. 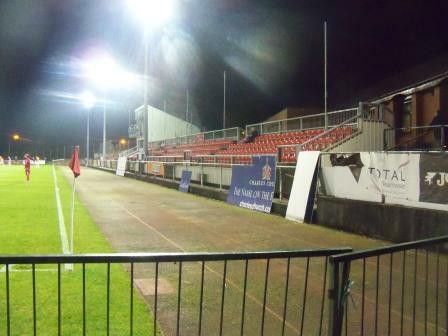 An old school steep stand along one side, with windowed edges, the Dias stand behind the goal and open terracing at the top of the other side to take the seating to 1,002 and UEFA compliance. 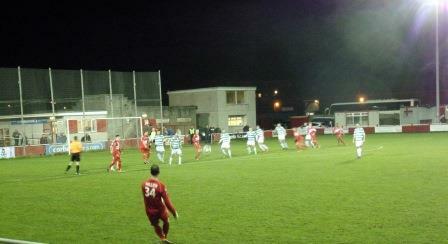 A gnoll behind the tall stand gives a great backdrop. 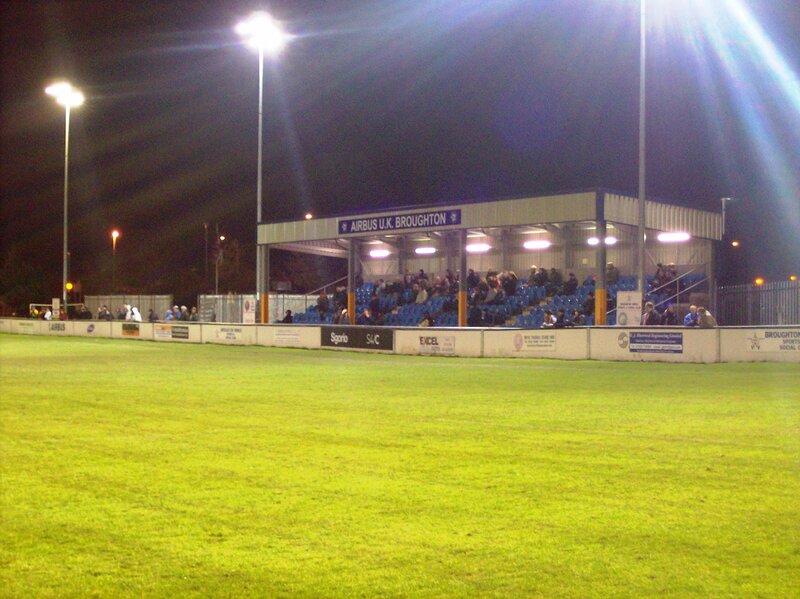 The Airfield is one of the more basic grounds, but still has a smart 500 seater main stand. A clubhouse sits on the opposite side. A quirky feature are the two retractable floodlights, that fold down on to supports, for when aircraft take off on the nearby airfield. 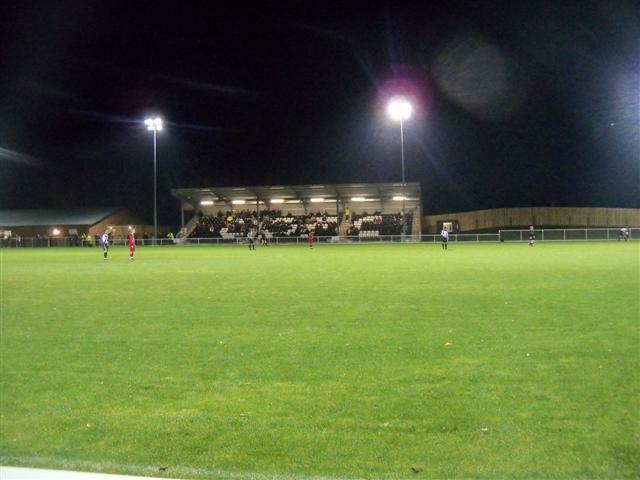 Within the last ten years, big improvements have been made to the Lakesiders’ ground, including floodlights and seating. While still one of the smaller of the Premier league clubs, it now has 504 seats, running down one length in a few stands, four rows up. 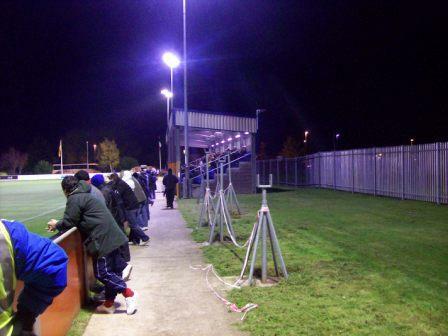 An unusual TV gantry sits opposite, between the dugouts. 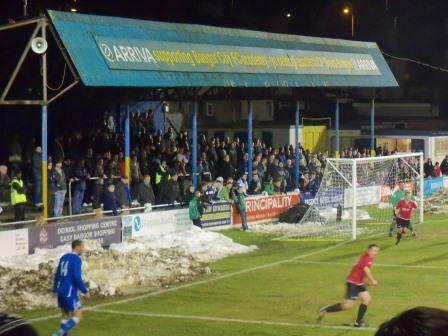 A shipyard-container-style covered bit of terracing is behind one goal. 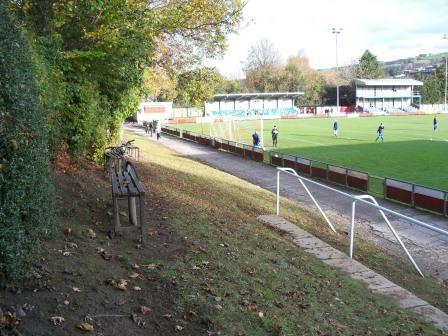 Behind the other goal is a slope where you can get a great picture of the whole ground, similar to the one at Plaskynaston Lane (Cefn Druids’ old ground). Bala is unfortunately horrendous to get to by public transport, being more than 20 miles from the nearest station. 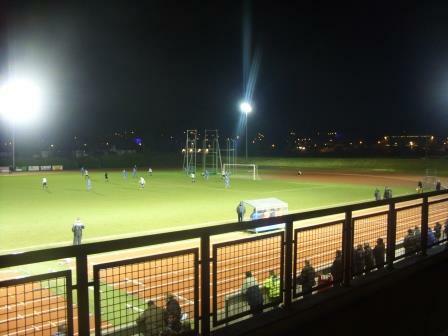 Bangor City moved into Nantporth in 2012. It is in a great location, just off the Holyhead Road overlooking the Menai Straight. For new builds, it is excellent with lots of character and a scenic backdrop. The main stand is a gleaming beauty. 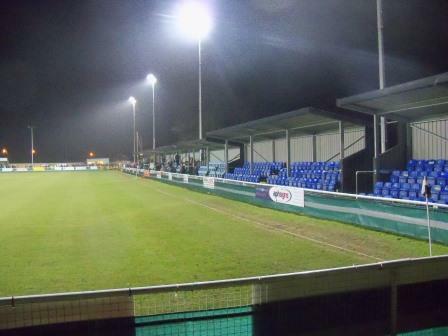 Opposite is another smaller stand, total seating is 1,100. I was there for their first European game there against Zimbru Chisinau, where standing was prohibited, due to European match rules. A full house should’ve seen a Bangor victory but, alas, it finished 0-0. 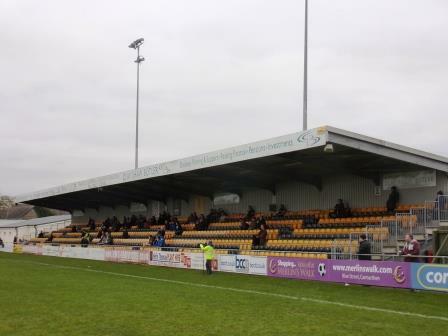 Carmarthen Town has one huge stand, maybe the biggest in the league, seating 1,000. It stretches along for most of one side. Aside from this, it is just hard standing with a very shallow path at one end. 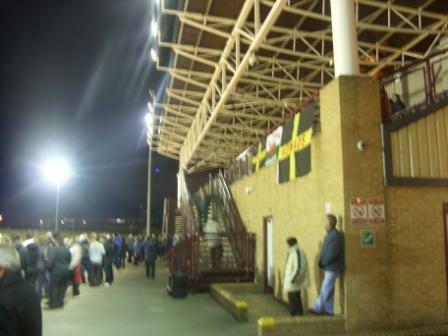 The clubhouse it opposite the main stand. From this stand there is a scenic backdrop of a hill of rendered houses, giving it a continental feel. 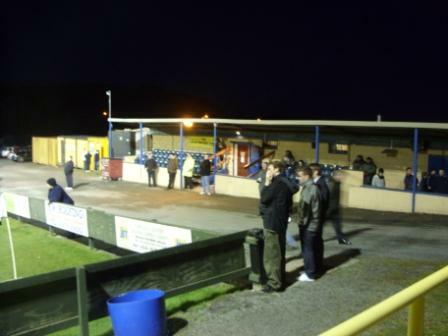 Cefn Druids moved from their great quirky Plaskynaston Lane Ground to the Rock in 2010. 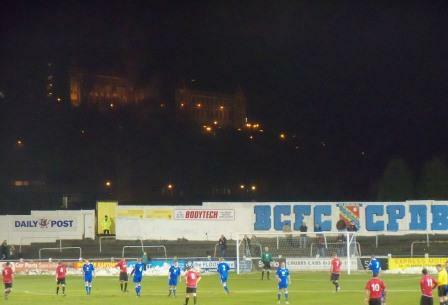 Their new ground, overlooked by an imposing rock face is a tidy new build with 500 seater stand. Enclosing it is an attractive wooden surround. 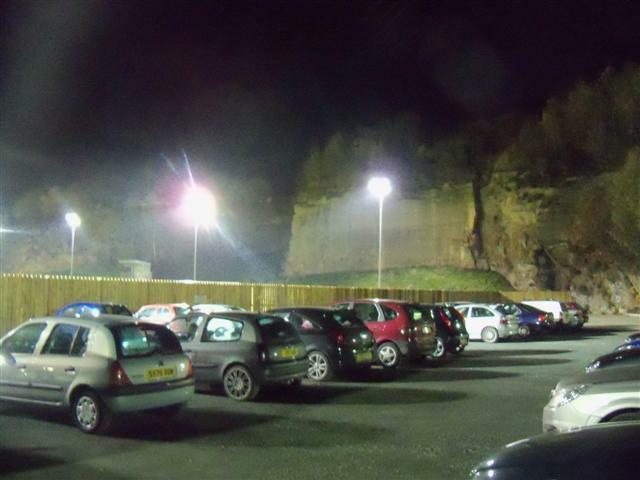 This ground is best done in the daylight as the great rocky backdrop is lost under floodlights. See bottom for pics of their old ground. 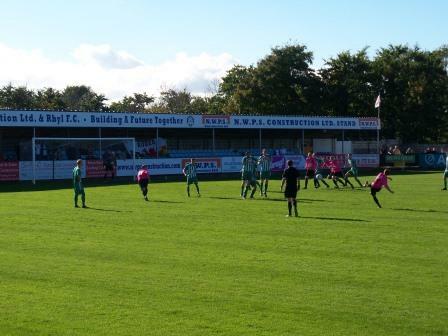 Gap Connah’s Quay was only the second Welsh ground I went to. Due to my poor camera skills at the time and it being very much a one-sided stadium, my pictures are limited. 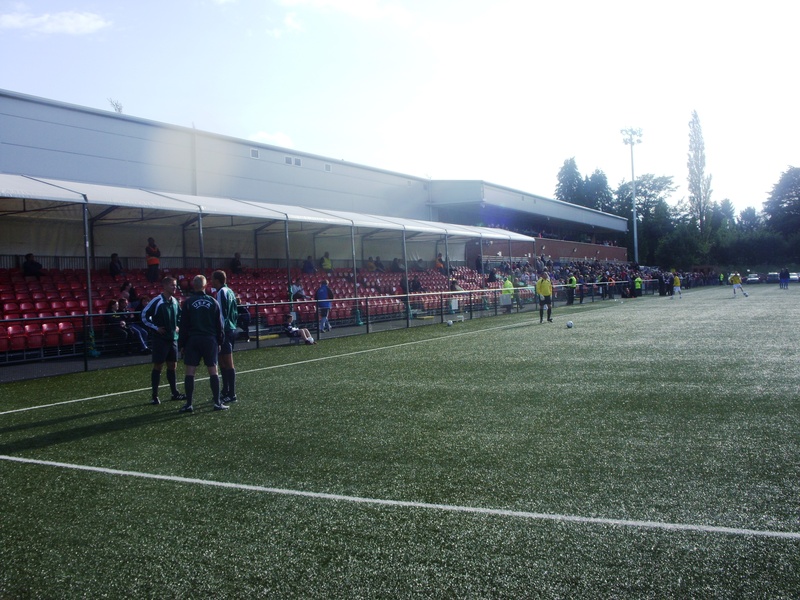 The Deeside College Stadium is dominated by the tall main stand that sits atop the clubhouse and changing rooms, seating 500. 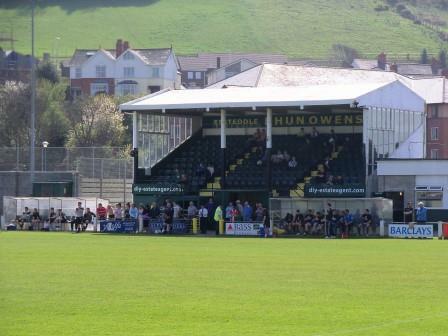 Having an eight lane athletics track around the ground is always going to compromise the atmosphere; however the main stand is large affording a good view. 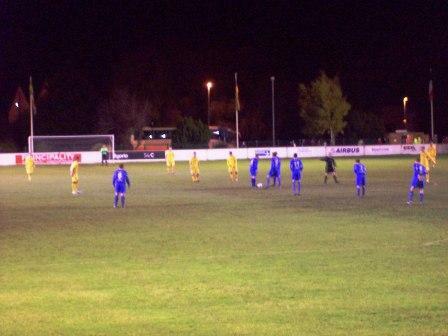 Everywhere you look in Latham Park there is something of interest, it is a real groundhopper’s ground. You can’t take enough photos here. 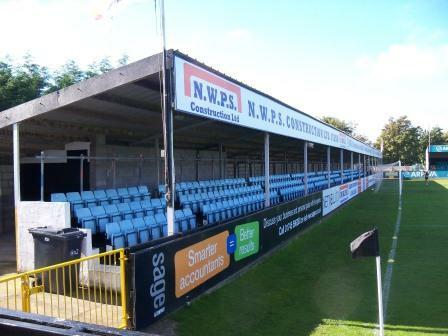 With 1,150 seats it is second only to Rhyl for seating capacity. 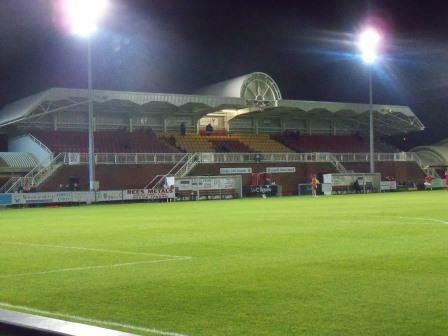 The largest stand sits on the side in one corner, with red seats. 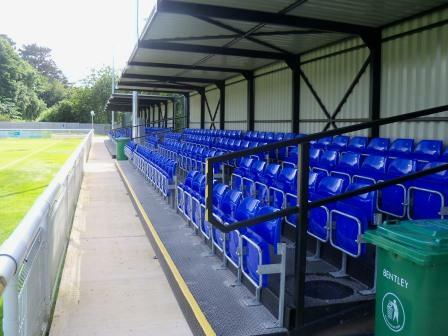 A smaller pitched roof stand sits aside it with blue seats, two very differing structures, but nestled happily together. In the gap between this smaller stand and the smart brick clubhouse lies the snack bar. On the other side lie two more stands, holding around 150 each. One has a top deck that is the TV gantry. Between the stands are some turnstiles. Bright red and white paint spells out NFC. Behind one goal is a fifth stand. This one looks like a temporary drop-in style affair, holding around 300. behind the other goal is hard standing, but a rising slope leads to benches and the odd random crush barrier. As if that wasn’t all, the view from this end is of rolling Welsh hills. Around the whole ground, where there are gaps the backdrop is a variety of tall trees, giving the whole ambience a picturesque pleasant feel. 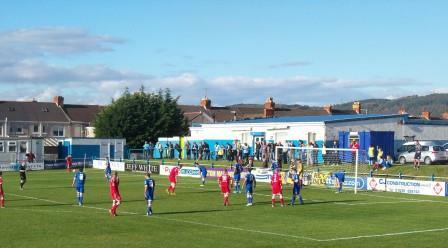 Port Talbot Town is a ground that has lots of nice little touches, making for good photo opportunities. 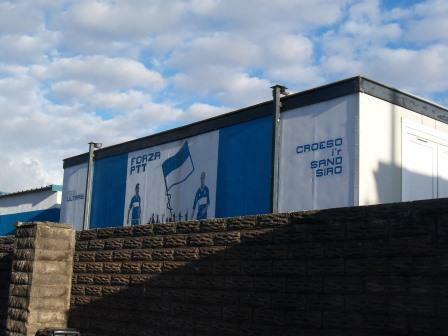 There is a blue and white mural outside the ground with a player and a flag and the words ‘Forza PTT’ ‘Croeso I’r Sand Siro’. Another bit of art on a wall looks like a traffic sign adorned with PT AFC. 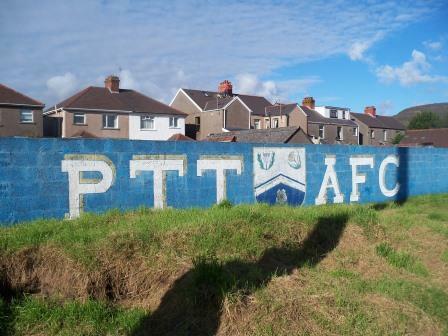 Inside, another piece of art on the wall behind the terrace, spells PTT AFC in large 3-D lettering, with the club badge between. These touches elevate this ground from good to great. 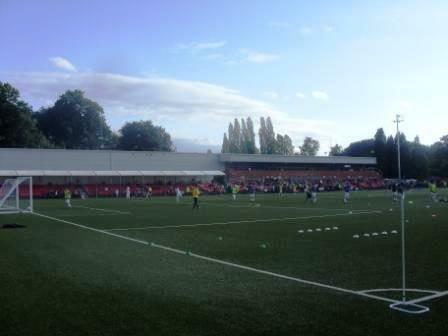 There are big stands either side of the pitch – a 600 odd seater and a smaller 400 odd seater. The rest is hard standing but behind one goal is a natural ridge from which to get a bit of height. Behind the other goal are stunning views of Welsh hills. 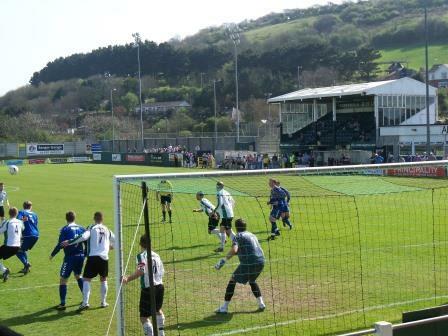 Bastion Gardens, which lies only a stone’s throw from the seafront and the Irish sea, is the smallest and flattest of the Welsh Premier grounds. While the stand goes all the way down one side it only rises a couple of rows up, so getting an elevated view in the ground is not possible. The seating totals just 200. Aside from these, there is just hard standing around the other three sides. but the views are good, the location being very pleasant. The stand backs on to a cricket pitch, with the other side backing onto houses and a hill behind. 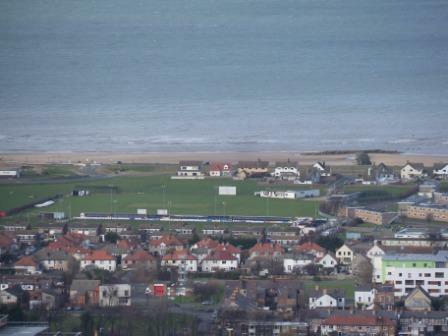 If you are driving to Prestatyn, a road called Hillside, off the A5151, that leads down to Prestatyn is a must, a twisty road that drops hundreds of feet quickly, with a viewing point where you can see all off Prestatyn Bay (and Bastion Gardens). Rhyl’s Belle Vue is the biggest of the venues, certainly in terms of seats with over 50% more than the next biggest, with 1720. In my view they’ve overdone the seats, especially when they smothered a wonderful multi-stepped terrace behind the goal with some seating and a couple of portacabins. 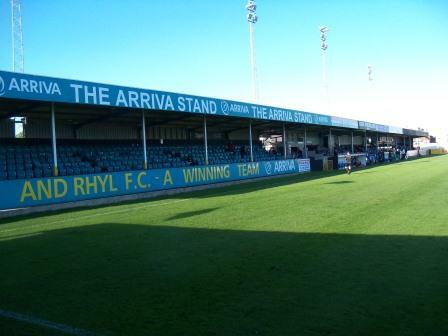 If they’d left this terracing then Rhyl’s ground would be up there with Aberystwyth and Newtown as my joint favourite. As it is it almost feels a bit claustrophobic, but still a great venue. 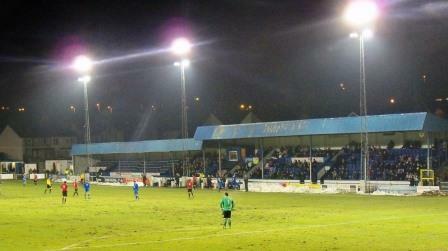 Bangor City borrowed it a number of times for their European ties, pre Nantporth. 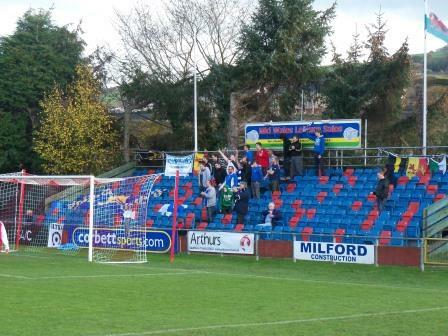 There are five separate stands with a modicum of terracing in one corner. 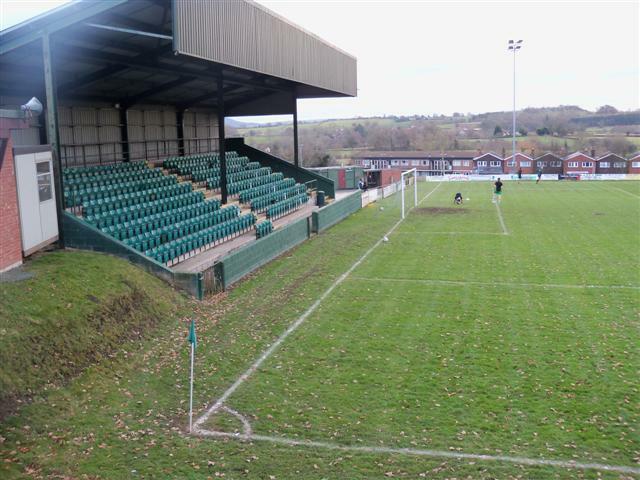 TNS, once Total Network Solutions and now The New Saints of Llansantffraid and Oswestry FC, to give them their full title, are the only team playing in England, near the Welsh border on the outskirts of Oswestry. 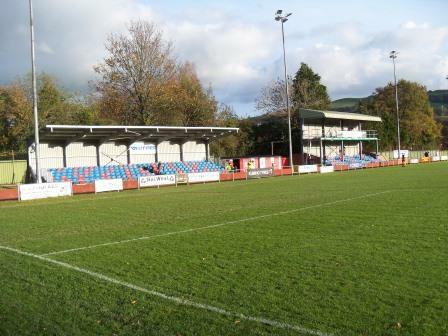 They started out as Llansantffraid FC, playing at the delectable Treflan ground, in the tiny Welsh Village. This was before the contract with the Network Solutions company, but nice to see the village now part of the name. 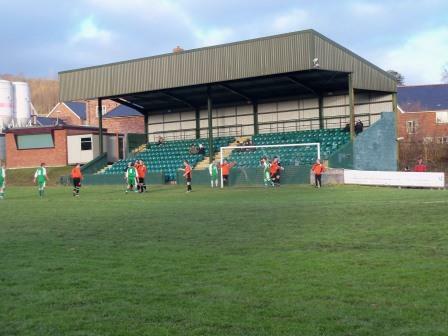 Treflan, thankfully, is still used by Llansantffraid Village FC, who were founded when the former residents moved to England. When I went, again Euro ruling said there was to be no access at all to three quarters of the ground. All the seats lie on one side, in front of the leisure centre and extending in what looks a bit like a posh marquee; the total number 1,100 odd. 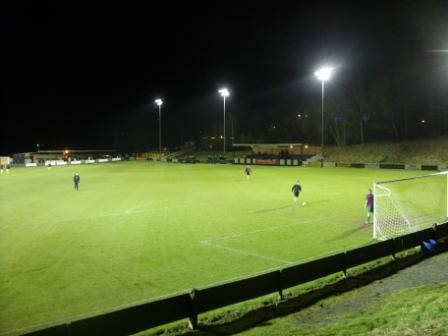 The pitch is a 5G artificial surface. 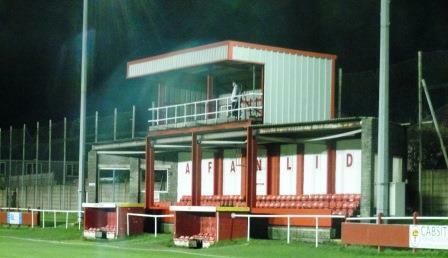 Afan Lido gained no reprieve this year and drop down to the Welsh League, having finished bottom two years running. 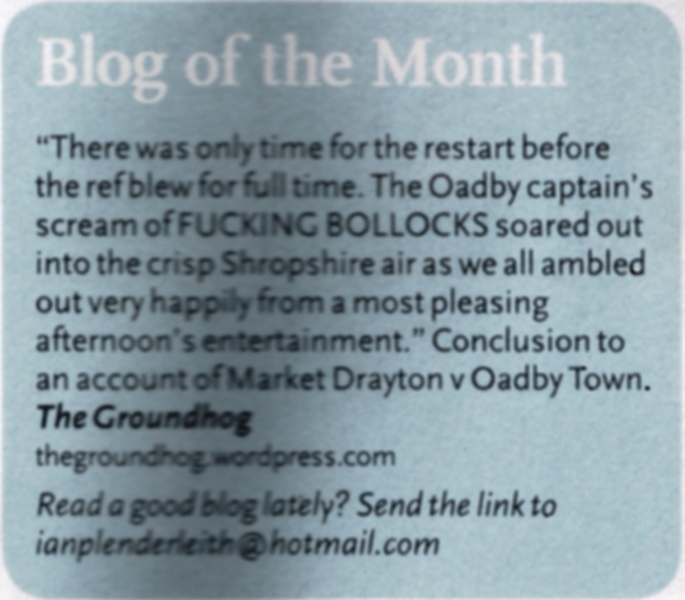 Their ground is as good as any in the top flight, though. 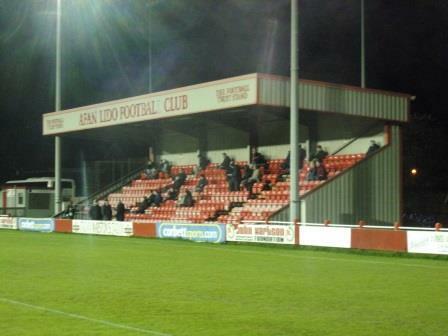 The Lido ground has a stand each side of the pitch. 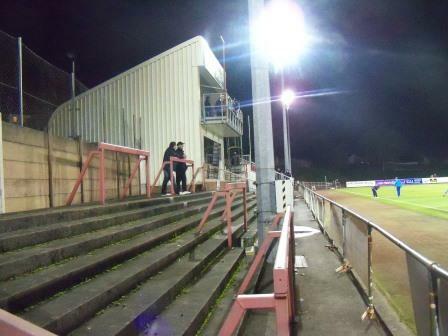 The main stand is a 400 odd seater, with the structure the other side an unusual affair, three rows of seats totalling around 120 with TV gantry atop and the club name spelled out neatly in lurid red – a nice touch. 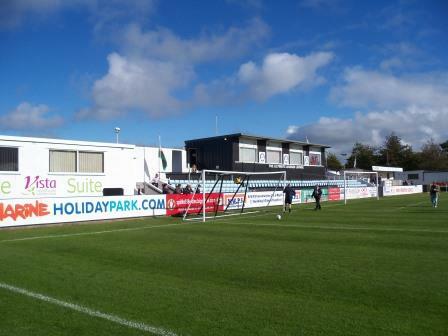 Llanelli’s Stebonheath Park was another cracker that I was fortunate enough to go to the season before last, in what turned out to be their final season in the League (for now). 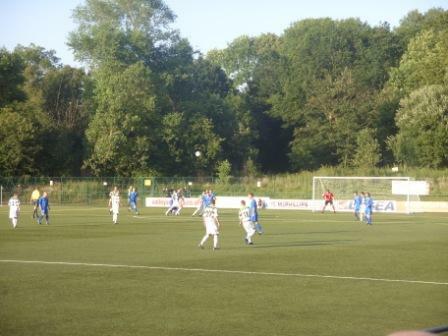 Stebonheath was another UEFA compliant venue, and had some nice terracing, too. By far the best athletics track ground I’ve been to. 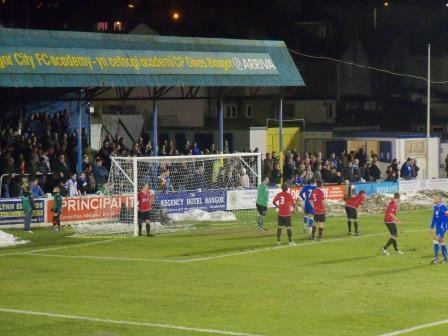 Bangor City’s Farrar Road would make my top 5 list – it was a superb ground, an old-fashioned ground like a non-league great or even a lower English league ground. The mural on the back wall was particularly iconic, similar to the one at Port Talbot Town. Plasknyaston Lane was one of those wonderful old hodge podge grounds. Bits of terrace, ramshackle stands, elevated views, wonky perimeter bar and an array of random iconic mugs, such as Teenage Mutant Ninja Turtles and Ghostbusters. I went there in 2009. I didn’t ever see TNS at Treflan, in Llansantffraid village, but did go to see the newly formed Llansantffraid Village FC. 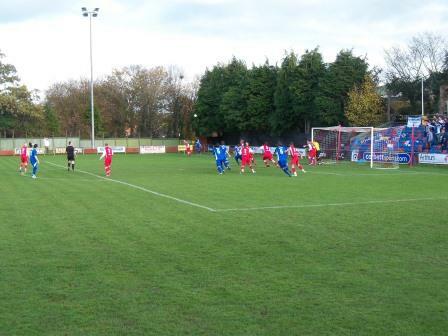 The ground was dominated by the large stand behind one goal. A path ran from the top of this stand down past the smaller stand down one side. The ground was situated just off the main high street through the tiny village – it seemed very out of place in such a rural setting. 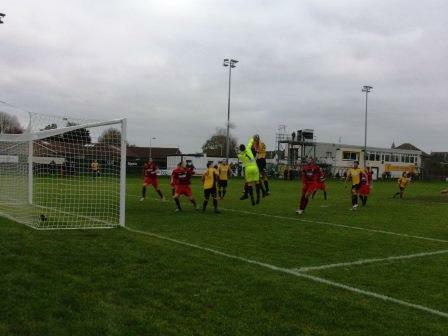 This entry was posted in Travelog and tagged Welsh football, welsh premier league. Bookmark the permalink. Mammoth post. Very interesting. Newtown looks particularly dreamy. I checked out Menai Bridge Tiger last week. See my blog for the video.